There are certain things in your house that you think about all the time. You use the fridge on a regular basis and you notice when things are nice and cold. You see the floors and know when they are getting worn. But what about the windows? Do you think about them very often? And when you do, are you thinking the right things about Clearwater, FL hurricane windows? If you’ve never had them before, you might not be thinking the right things about them. Here are some of the things you might think and the actual truth about hurricane windows. This is something that makes sense. If these windows can stand up against hurricane force wind, they’d have to be rather huge, right? They probably have large frames and very little glass space so they won’t break very easily. That line of thinking is wrong, even if it seems right. Hurricane windows actually add curb appeal to a house because they are so attractive. They have small frames and a lot of glass space and it’s rather hard to tell them from regular windows. The difference is in the strength of the glass. But they aren’t big and bulky at all. Hurricane seasons come about once a year and yes, they can be nasty storms, but is it really worth installing hurricane windows? The answer to that question is usually a resounding yes. 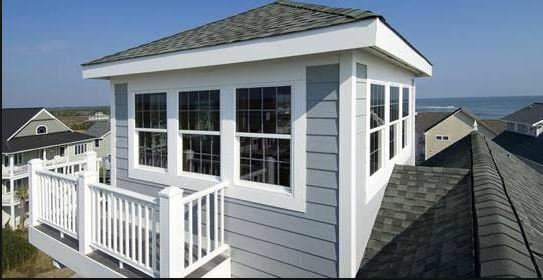 While hurricane windows do a good job at protecting a home against hurricanes, they can also do quite a bit in protecting a home against other dangers as well. Take intruders, for example. If the windows don’t break when a hurricane throws a brick at them, they aren’t going to break from a rock an intruder uses to try to get in, either. While hurricane windows do cost more than ordinary replacement windows, they come with a lot of savings as well. You’ll save on your energy bills, for example, and you’ll probably get insurance premium discounts for having this safety element on your home as well. Add to that what you will get when you sell the house—an increased price—and you’ll be able to pay yourself back for the investment rather quickly. It’s okay that you don’t think about hurricane windows in Clearwater, FL very often, now that they’re on your mind, it’s not a bad idea to look into them. Call Clearwater Window & Door at (727) 559-7007 for a free consultation to help you figure out if they are the right option for your home. We’ll go over your current windows and your budget and specific situation to see if they will fit into your home and lifestyle. You can also stop by and see us in person at 2025 Gulf to Bay Blvd, Clearwater, FL 33765 to see the windows for yourself.